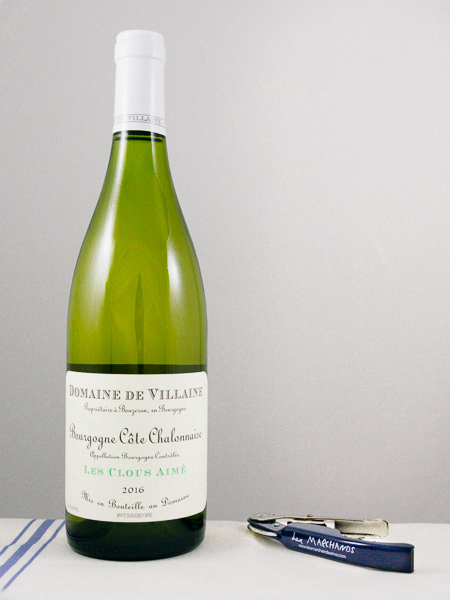 The Les Clous Aimé comes from old vines scattered along a south facing, limestone rich slope in the Côte Chalonnaise. This wine is mineral driven and focused and has an aging potential of 5 to 7 years. No glitz, no glamour, the soft spoken demeanor of James Cromwell as Arthur Hoggett, and a commitment to the vines and the domaine that bear his name. Located in Burgundy, the most famous vigneron in the world looks after the most famous collection of vineyards in the world. So after finishing a day among the vines of Domaine dela Romanée Conti in the village of Vosne Romanée, what does Aubert de Villaine do? He drives for one hour to his home in the village of Bouzeron to have dinner with his American wife Pamela and they share a bottle of AP de Villaine, a family project the two of them own together. All the accolades, all the awards, all the books and interviews, and all the people that clamor for a brief moment to discuss wine with Aubert de Villaine and it is his modesty that stands out most. He drives what I have seen quoted as a, “grimy Renault station wagon” and is rarely seen in Burgundy wearing anything but work clothes with a layer of dust upon his boots. Though I have seen him at events in San Francisco and he shows up sharp in a tweed jacket. These are wines to own and enjoy with friends. You will receive the purest expression of the varietal and the region when drinking AP de Villaine. Copyright © 2019 Les Marchands Restaurant & Wine Shop.